Earlier this year I attended a tasting with Grace Wines of Japan where I tasted Koshu and Muscat Bailey-A for the first time – both grapes I had not previously tasted and grapes that subsequently piqued my interested in wines from Japan. A recent invitation from Ghvino Wines to taste a different selection of Japanese wines was therefore not to be missed. During the session we tasted both Koshu and Muscat Bailey-A but it was the latter in various guises that fascinated me. Although the majority of wine we drink today is produced from Vitis vinifera, a European vine species, winemakers have long experimented with making wine from American vines. Success has been limited, with V. labrusca in particular often described as having foxy or musky characteristics, making the wine unpleasant to drink. Where V. labrusca has found success is in two places; one as a parent for hybrids – Big Extra and Triumph being two cases in point and two, as the preferred variety for table grape production in Japan. Almost 80% of vines in Japan are based on V. labrusca due to the quality of table grape produced – this being prized above grapes for wine. With such a prevalence of this species in Japan it is perhaps little wonder that varieties based on V. labrusca have been created for use in winemaking. 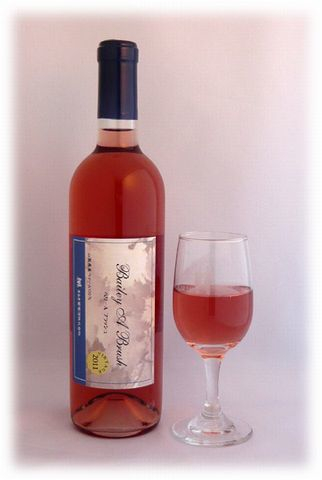 Muscat Bailey-A typically presents sweet, confected red fruit aromas. During this tasting we sampled a dry rosé, a still red wine and a sweet fortified wine all made using Muscat Bailey-A. The rosé from the Marquis Winery presented a sweet cotton candy nose, which matched perfectly with the pink cotton candy colour of the wine. A good balance of acid with sweet strawberries, fresh yellow peaches and a hint of toffee made this a rather scrumptous wine. 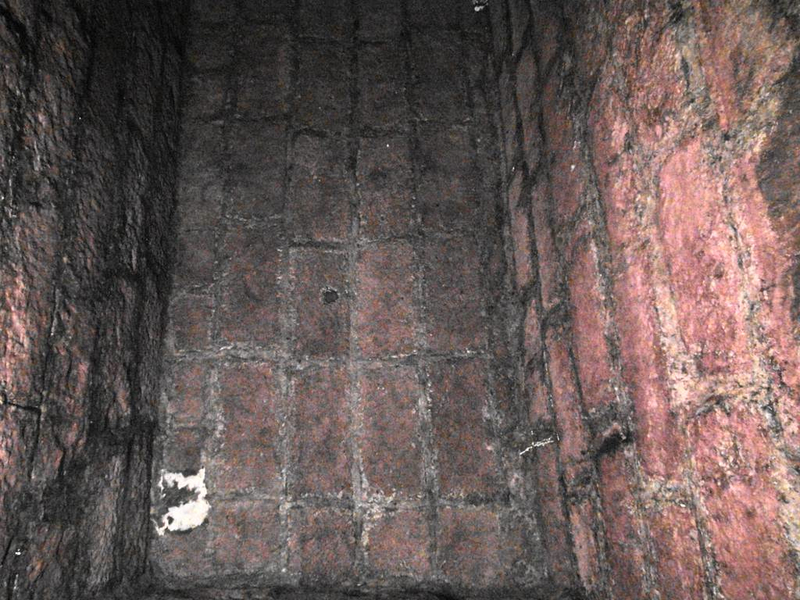 Image credit: Lumière Winery. Note: Vintage tasted was 2010. The Ishigura was very elegant in structure and presented flavours I typically associate with a Pinot Noir, i.e. red fruits, forest floor and as previously mentioned, pencil shavings. What I particularly enjoyed about this wine was the additional rather curious flavour descriptors I wrote in conjunction with those more familiar ones – on the nose there was an aroma reminiscent of pickled ginger and the finish on this wine had a tang to it that reminded me of ripe ruby grapefruits – wonderful stuff! 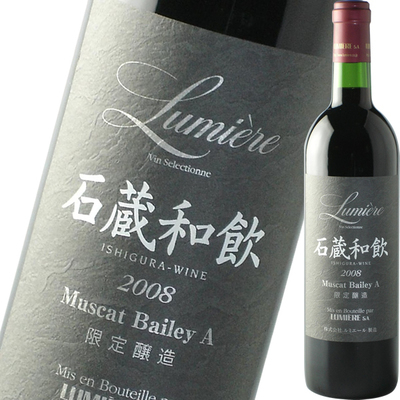 The sweet Muscat Bailey-A, also from the Lumière Winery, is matured for 12 years and fortified to an alcohol level of 15% abv. Its appearance is similar to that of the Sherry, Pedro Ximenez, but the mouth feel and weight is lighter with higher acidity. Aromas and flavours of chocolate, coffee and baking spice abound making this incredibly moreish and easy to drink – reminding me I need to keep that 15% abv in mind! Perhaps the most surprising part of the tasting was learning that Japanese wines are not widely consumed here in Hong Kong, nor are they widely available in the one place I was certain I could find them – Japanese restaurants. No doubt this is a reflection of consumer familiarity with wines from Japan. Both Koshu and Muscat Bailey-A are very approachable and both are presented in a wide variety of styles by many wineries from Japan. These are definitely wines you should seek out and, as is common for most wines that are not familiar to consumers, they are incredibly well priced – best get some in before the secret is out! 2. Robinson, J. (2006). P. 374. The Oxford Companion to Wine. Great Britain: Oxford University Press. Aromas of strawberries, cotton candy and boiled sweets. On the palate a high mouth watering acidity with flavours of strawberries, cotton candy and toffee with a finish reminiscent of biting into a fresh yellow peach early in the season when the skin is still tangy. Aromas of red plums, forest floor and graphite as well as pickled ginger. On the palate a delicate body and elegant structure of noticeable acidity and medium tannins. There were flavours of fresh red plums, red cherries and strawberries, tart black grapes, black pepper, pencil shavings and a finish of violets and tangy ruby red grapefruit. Aromas of dried fruit, coffee and dark chocolate. On the palate high acidity and flavours of raisins, prunes, butterscotch sauce, coffee cake and dark chocolate.